Does Chiropractic Care Help With Colic? It’s 2am and your baby has been crying for the last 2 hours. In effort to console her, you changed her diaper, fed her, went for a car ride, rocked her – but nothing has worked! This has been a struggle for you and your husband the last few weeks. You want to help your baby, you want sleep, you want HER to sleep, but you just don’t know how to help. 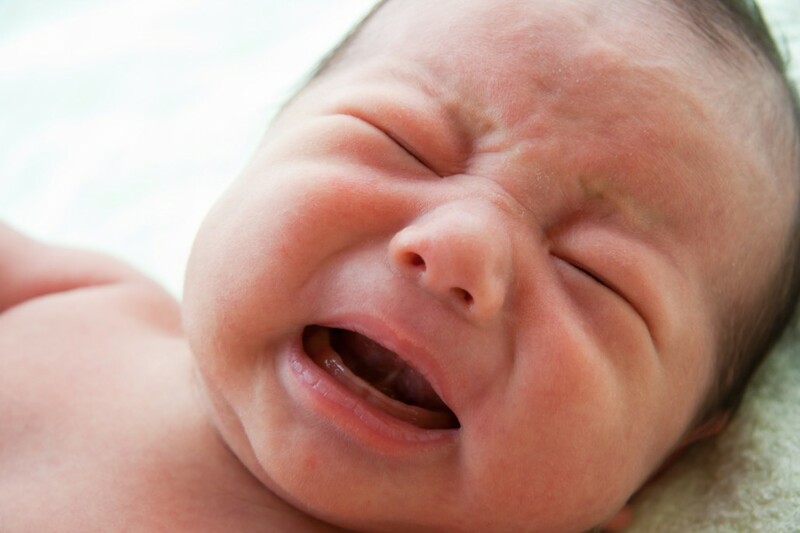 Colic is defined as inconsolable crying in an infant for at least 3 hours a day, 3 days a week, for at least 3 weeks. An infant with colic will typically have a loud cry, tensed abdominal muscles, clenched fingers, and flexed legs. This usually begins around 3 weeks of age and lasts until the baby is 3-6 months old. Don’t Worry, There Is Good News! Chiropractic care is proven to be a natural, effective, and conservative way to relive colic in a newborn. A recent study showed an improvement in 94% of infants with colic following chiropractic adjustments. In fact, research shows that pediatric chiropractic care can help relieve infantile colic better than dietary changes, medication, or infant positioning. According to a randomized clinical trial in the Journal of Manipulative and Physiological Therapeutics, infants in the chiropractic group showed a 67% decrease in crying whereas the infants on medication only showed a 38% decrease in crying. Why Does Chiropractic Care Help Relieve Infantile Colic? Chiropractors remove stress on the body?s master control system, the nervous system, to allow for optimal function. Misalignments of the vertebrae (known as subluxations) are very common after the birth process. These subluxations decrease nerve function and decrease the body?s ability to thrive. If left uncorrected, these subluxations may lead to various health conditions like colic, reflux, difficulty latching, constipation, ear infections, sleeping issues, and a decrease in overall immune function. Chiropractic adjustments restore proper structure to the spine and take stress off of the nervous system so the infant can function properly! Are Chiropractic Adjustments Safe For Infants? Absolutely! An adjustment for an infant is VERY different than that of an adult. When adjusting an infant, there is no ?popping? or ?cracking? sounds. We use a gentle, sustained contact (using the same pressure you would use to check a ripe tomato) to move the vertebra back into the right position. At Blossom Family Chiropractic, we focus on pediatric and family care for residents in the St Petersburg and Tampa Bay greater areas. Dr. Savy Ford has seen thousands of infants with colic improve after regular pediatric chiropractic care. Blossom Family Chiropractic uses state of the art equipment that identifies exactly where stress is being placed on your baby?s nervous system. This thermal test allows us to properly identify subluxations and track your baby?s progress as he/she continues with chiropractic care. If you have any questions regarding your baby?s health or would like to make an appointment, please call us at 727-498-5643 or email us at blossomfamilychiro@gmail.com. We would also love to hear any comments you may have about your experience with colic and your baby. Please leave comments below! https://blossomfamilychiropractic.com/wp-content/uploads/2016/05/colic-and-chiropractic.jpg 1125 1688 Savy Irby https://blossomfamilychiropractic.com/wp-content/uploads/2019/01/blossom-logo-grey-l-1030x216.png Savy Irby2016-05-05 18:25:572016-05-12 14:47:35Does Chiropractic Care Help With Colic? Do You Have To Go To The Chiropractor For The Rest Of Your Life? How Can Chiropractic Care Help with Pregnancy?